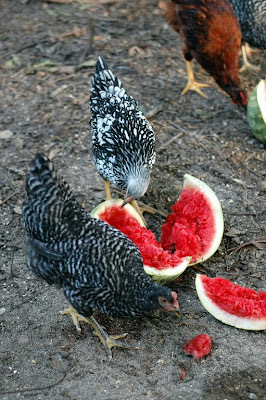 Across the Branch: My chickens eat watermelon! I don't guess that my chickens' eating watermelon is really that different from any other chickens. But it's at least a little bit special because I picked these watermelons for them right out of the field! Yep. 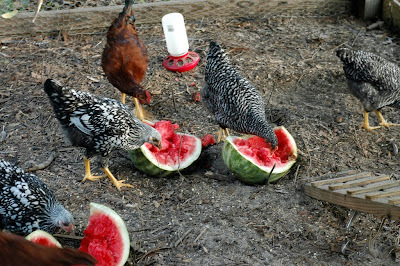 Blair and I were riding the golf cart the other day, and I saw a few watermelons that weren't good enough to harvest, so I threw 'em in the golf cart for Bert and his crew! I think that's pretty neat! 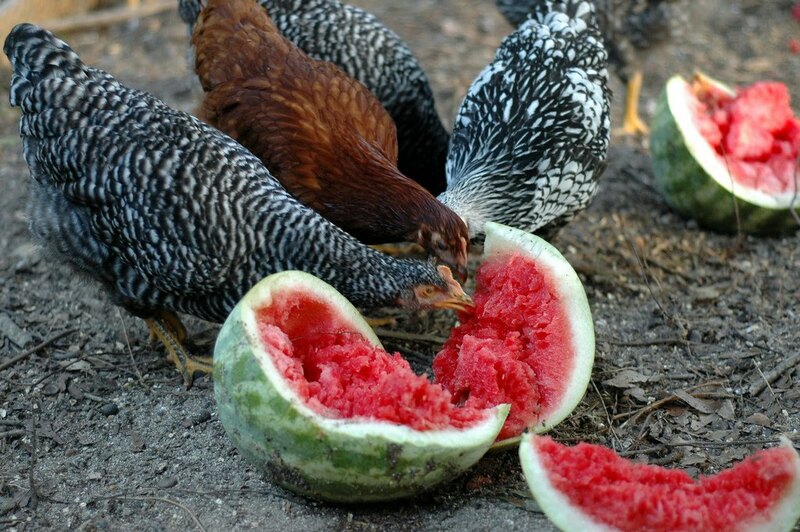 They enjoyed them too. A few days later there was nothing left but some thin pieces of green with no rind at all. 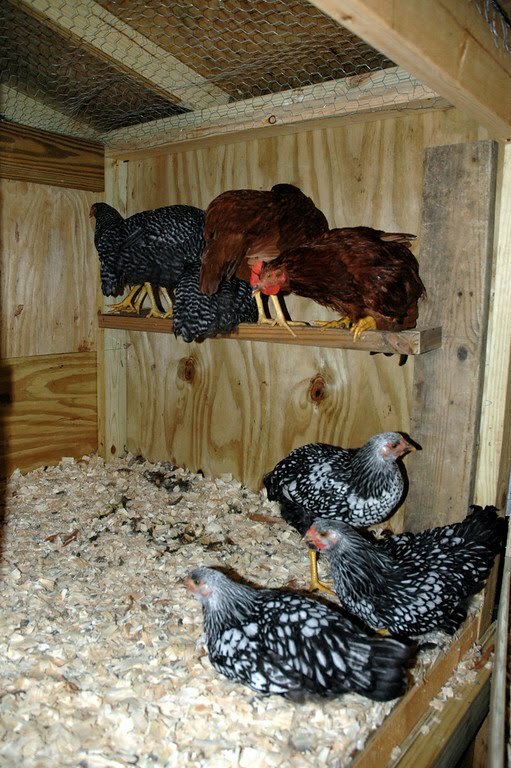 In other chicken news... they are now using their roosting bars Brad built inside their house. The same five are on the bar each night. I guess the Wyandottes don't realize there's another one on the other side! This is a picture from the back of the house with the "house cleaning" door open. They're 13 weeks old now! 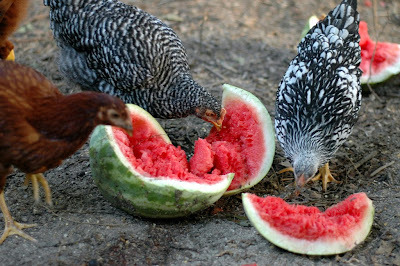 Towards the end of July we will be getting really close to eggs! 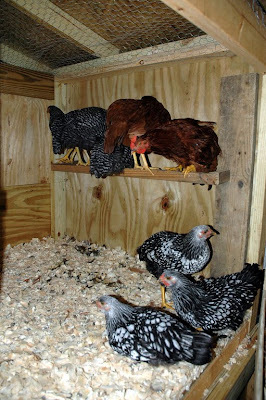 great chicken pics!!!! it's awesome they can be fed right off the land!! I love the new design!! Clean and crisp! YAY!